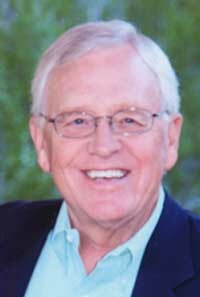 Jack Blumenstein, of Lake Forest, Ill., and Ketchum, Idaho, died unexpectedly on Wednesday, Feb. 29, 2012. He was 68. In 1996, Mr. Blumenstein co-founded private equity investment firm Blumenstein/Thorne Information Partners in Lake Forest. Over the next 16 years, he helped to finance and guide a wide range of innovative technology companies, including Gogo Inc., formerly Aircell Inc. As Gogo's chief executive from 2002 to 2009, chair from 2009 to 2010 and director until the time of his death, Jack inspired and developed the company's revolutionary deployment of in-flight broadband Internet service on commercial airlines. "Jack had an extraordinary ability to nurture an idea and turn it into a business," said his friend and business partner, Oakleigh Thorne. "This is nowhere more evident than his most recent passion, Gogo. Jack also was a true gentleman. With his intelligence, sensitivity and charm, he could turn even the most difficult of situations into a pleasant and transparent exchange of ideas." From 1970 to 1981, Mr. Blumenstein served as an attorney at Davis Polk & Wardwell in New York and Brown and Bain in Phoenix. In later years, he was vice president of Silicon Valley pioneer ROLM Corp.; vice president of IBM United States; and chief executive of Ardis, a joint venture of IBM and Motorola. In the late 1980s, he served on the U.S. State Department Advisory Committee on International Communications and Information Policy. Following his sophomore year at Stanford University, Mr. Blumenstein joined the Peace Corps. After two years of service in Colombia, he graduated from Stanford in 1967. He then received his graduate degree from U.C. Berkeley School of Law in 1970. Mr. Blumenstein is survived by his wife of 43 years, Sarah; his two sons Christopher and Matthew; his daughter-in-law, Chantal Forfota; his brother Tom; his sister, Diane; many loving nieces and nephews; and his spectacularly spoiled dog, Casey. He was preceded in death by his son Charlie; his brother Robert; and his parents, Robert and Agnes. Memorial services will be held Wednesday, March 7, in Sun Valley, Idaho, and March 17 in Lake Forest, Ill. Contributions in Mr. Blumenstein's memory may be made to the Charlie Blumenstein Water and Wildlife Conservation Internship, Colorado College, Box 1117, Colorado Springs, CO 80901; or The Nature Conservancy, Silver Creek Preserve, 116 First Ave. N., Hailey, ID 83333.